The semiconductor industry continues to be a driving force in the digital network revolution. Semiconductors serve several important purposes. As semiconductors become smaller, lighter, cheaper and more powerful, they increase the computational power of all sorts of computers (a.k.a. smart devices). Also, thanks to the convergence of computing and telecommunications, they increase the capability to transmit digital information. Finally, they increase the capacity to store information. 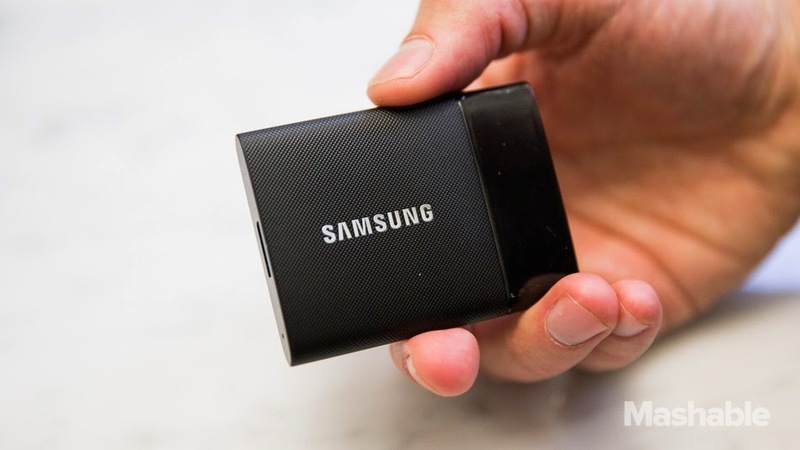 At this month's Consumer Electronics Show 2015, Samsung's new T1 solid state drive (click on the accompanying graphic for a full size version) was selected as the most innovative semiconductor product. As reported in The Korea Joongang Daily, it can store up to a terabyte of content and weights only about an ounce (30 grams).